When I was at home for the summer two years ago, I set myself a challenge of cooking something new every day. Some days it would be a difficult dish that required long preparation and some skill. Other days it would necessarily be something quick and easy (one day I even resorted to shaking up a Cosmopolitan, never having made one before – not technically cooking, but I was very satisfied with the results!). As everyone I knew was at work all day, researching recipes and cooking them at leisure was the perfect way to while away the hours. It would be nice to be able to devote so much time to cooking all the time, but of course such a thing just isn’t possible. Even when you’re pushed for time though, it is possible to find speedy little recipes that are neither time nor energy consuming, and still give you that feeling of satisfaction that comes from making something yourself rather than opening a packet. These pitta pizzas are fast, tasty, and infinitely adaptable. 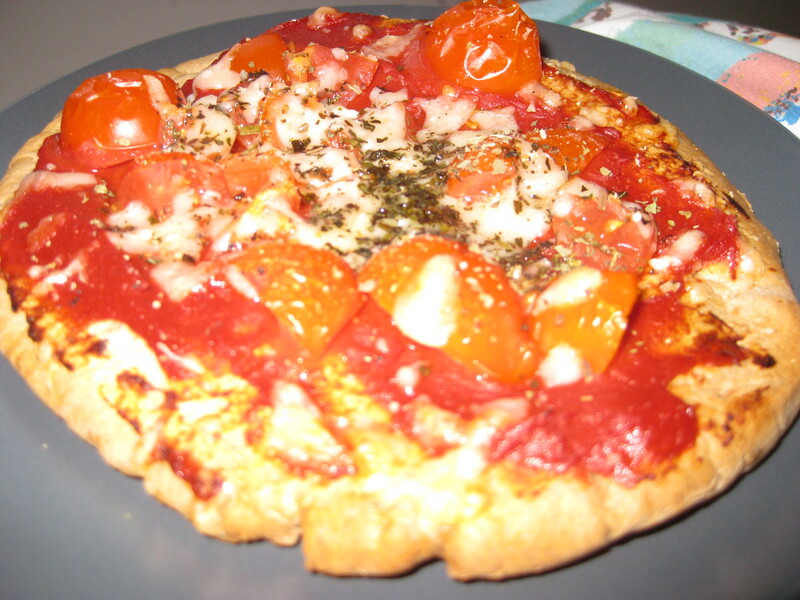 Other toppings can be added depending on your preference or what you have to hand. Likewise you can vary the cheese and herbs. They are perfect for a light lunch or supper when you need something quick, easy and satisfying. 2. 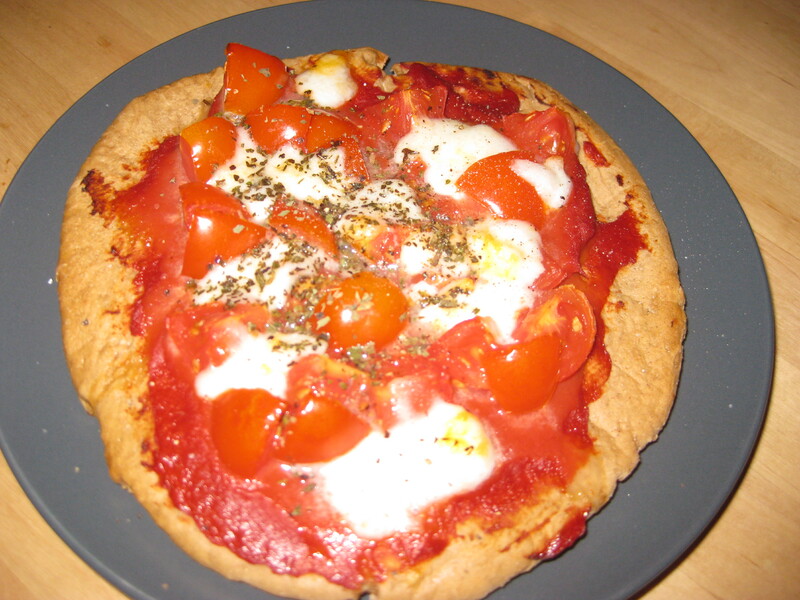 Spread each pitta bread with 1 tbsp tomato puree. Sprinkle with dried herbs. Scatter over the chopped cherry tomatoes and cheese. 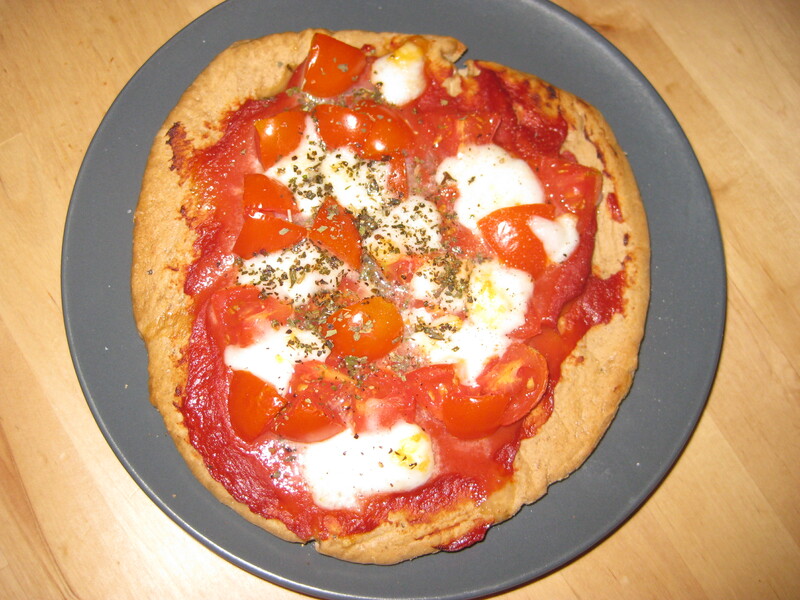 This entry was posted in Vegetarian Recipes and tagged grilled pizza, ideas for pitta bread, light lunch, pitta pizza, quick pizza, snack. Bookmark the permalink.